Whether you are looking for a seven-day programmable thermostat, a fully automated digital control or a standard easy-to-use thermostat, American Standard temperature controls give you precise control over your home’s climate. 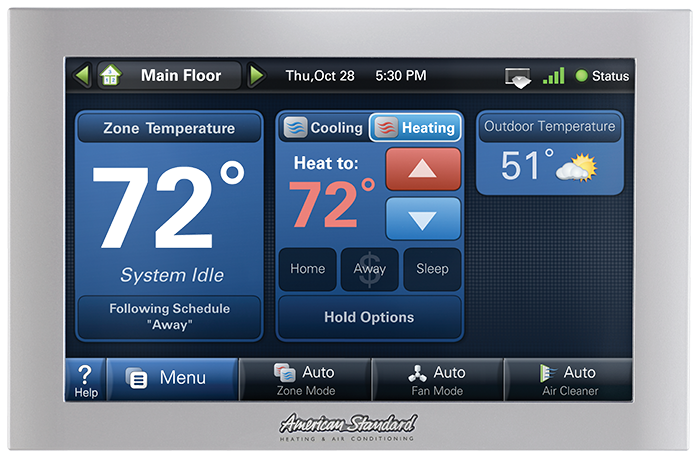 Take command of comfort and costs at the same time with a reliable home thermostat from American Standard Heating & Air Conditioning. American Standard Customer Care Dealers are factory trained to properly service and repair your heating and cooling system. If you are requiring service, maintenance or repair, you can call any of our participating dealers with confidence that they will service your system and get it running at the highest efficiency and capacity possible.